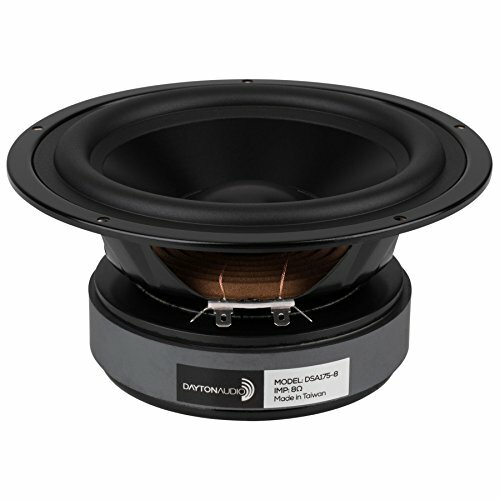 Although it's true that the Dayton Audio Designer Series DSA175-8 is a nice looking and well thought-out 6-1/2" woofer, its ability to handle full rated power down to 39 Hz without exceeding Xmax is very impressive! Cosmetic frame with low profile lip, designed for front mounting-no countersinking required! Dayton Audio DSS4-G Gold Speaker Spike Set 4 Pcs.